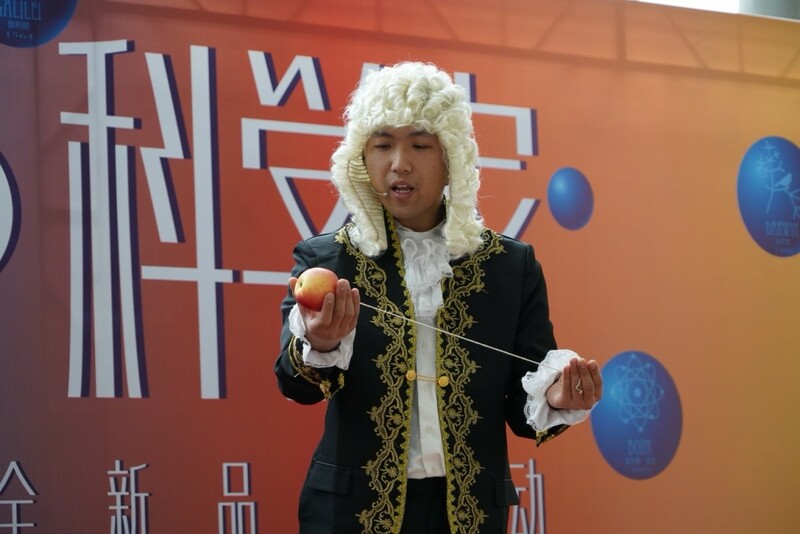 SSTM Launches New Educational Program "Scientist of the Month"
From this year of 2019, the Shanghai Science and Technology Museum will name a “Scientist of the Month” every month and hold a variety of activities around the research fields of these renowned scientists, showcasing their personal charisma, spirit, scientific achievements and ideas. English physicist, mathematician and astronomer Isaac Newton, born on January 4, 1642, was chosen by the museum as the scientist for January. Twenty-five people who share their birthday with Newton gathered at the SSTM to have an early birthday party on January 1, three days before their big day. The museum is offering a variety of activities around Newton, including science LIVE show, science courses, science train, team customization etc to promote science education throughout January.